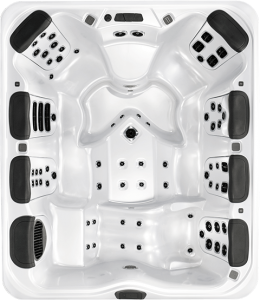 A Series spas are elegantly styled and fully featured. 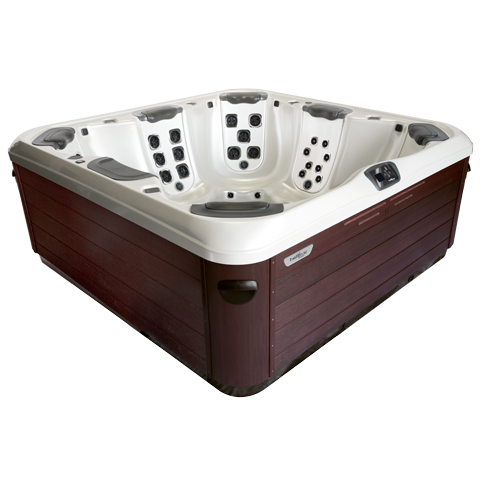 They have premium spa features and the JetPak Therapy System with JetPaks in all premium seat locations. 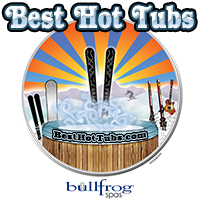 This offers the maximum personalization of your hot tub experience. 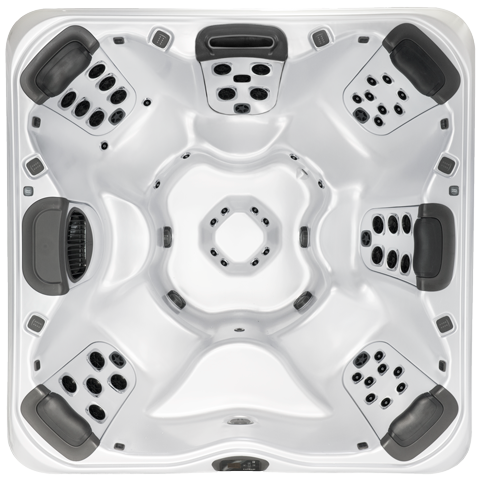 The A8 is an 8-person seating capacity hot tub with a comfortable open layout and 6 JetPaks of your choice. 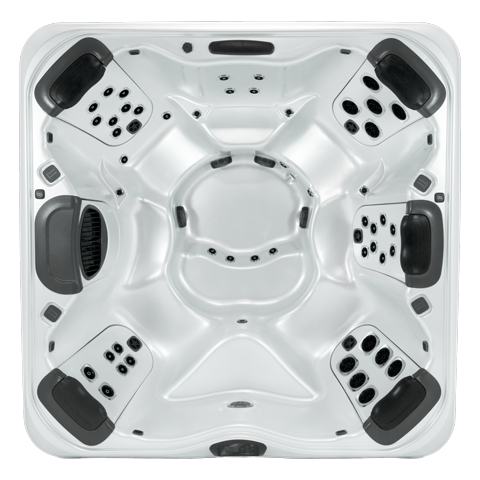 The uniquely contoured foot therapy dome provides a personalized foot massage, no matter where you are seated in this large hot tub. 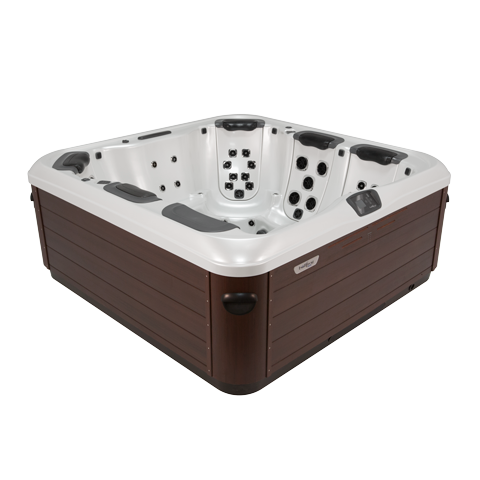 The A8L is a 7-person hot tub with several seating options for total relaxation. The comfortable seats include a therapeutic corner captain’s chair and a premium bent-knee lounger. You have a choice of 6 unique JetPaks. 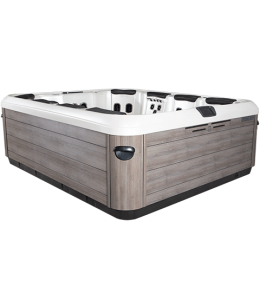 The A8D is a 5-6 person hot tub with an exclusive 2-lounge layout. This model is very popular and is one of the top-sellers. The hot tub has 5 unique JetPaks. 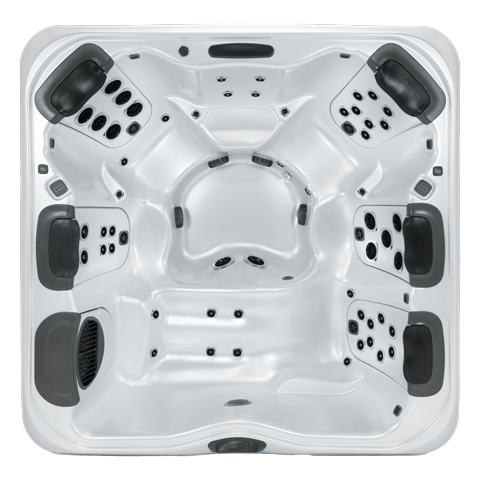 The A7 mid-size spa is full-featured and feels much larger than its dimensions. It features dual premium corner captain’s chairs, each with wrist, hip, calf and foot jets to go along with 5 JetPaks of your choice. 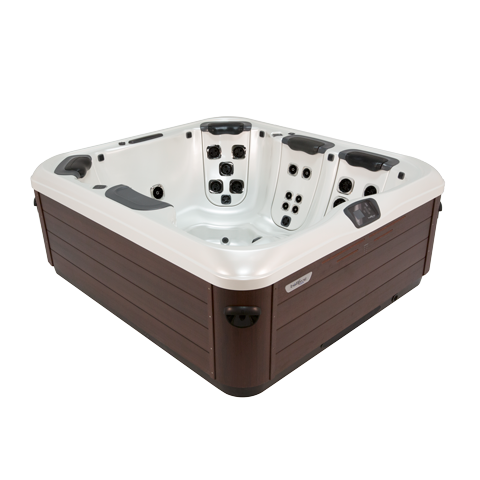 The A7L is a mid-size spa with 5 JetPaks. 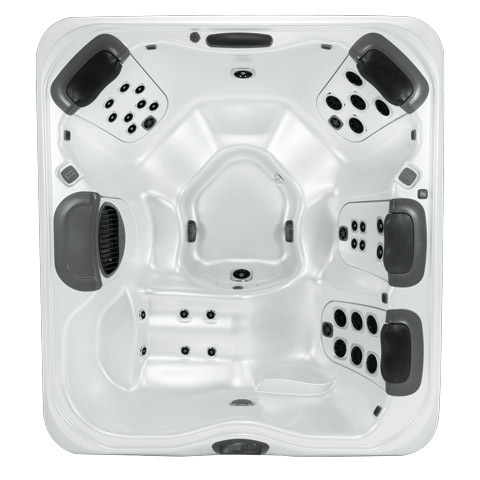 It also includes a premium bent-knee lounger with hip, calf, and foot jets that combine with the JetPak of your choice to create a blissful full body relaxation experience. 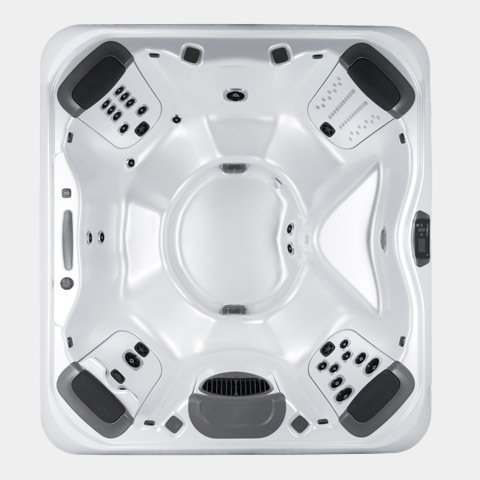 The A6 is a premium space-saving 7 person hot tub. The small exterior footprint is perfect for the tight spaces while maintaining ample room on the inside. You may select 4 JetPaks to suit your needs. The A6L is a space-saving hot tub that seats 4 to 6 people comfortably. It features your choice of JetPaks in 4 seats and a comfortable lounger with therapeutic calf and foot jets. 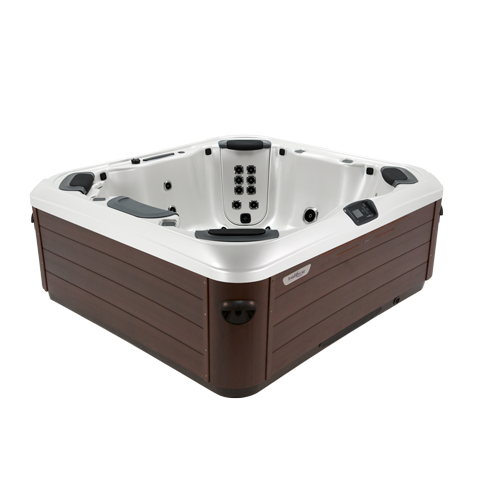 The A5L is the most feature rich compact 2 or 3 person hot tub on the market today. It’s small enough for indoor, patio, and balcony installation. It has a premium lounge seat as well as your choice of 3 JetPaks.